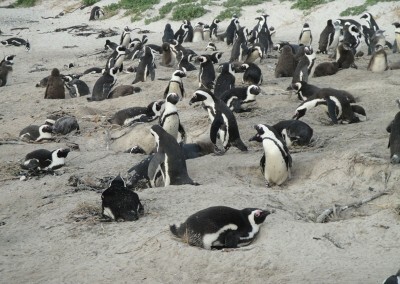 Cape Point and the penguins of Boulders Beach can be easily combined into one day. You’ll enjoy amazing scenery, see plenty of wildlife and still have time for a fantastic hike. 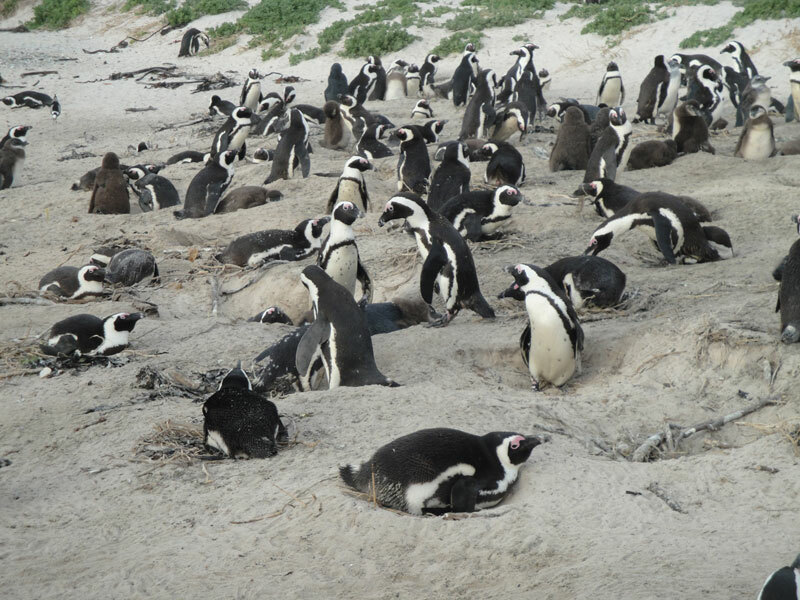 It’s best to get to Boulders Beach early, regardless of season. There will be far fewer visitors, and the softer morning light suits photography. 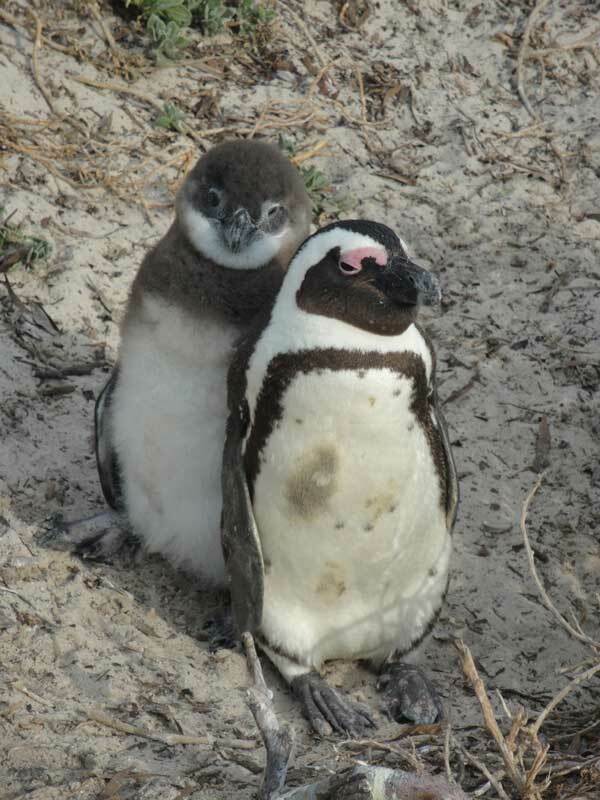 And with hundreds of African Penguins nesting, preening, fighting and honk-honking away like their old name suggests (Jackass Penguin), you’ll certainly want your camera. Seagulls, cormorants and oystercatchers are also resident on the beach, and a short walk along the beach’s shady boardwalk reveals more wildlife. 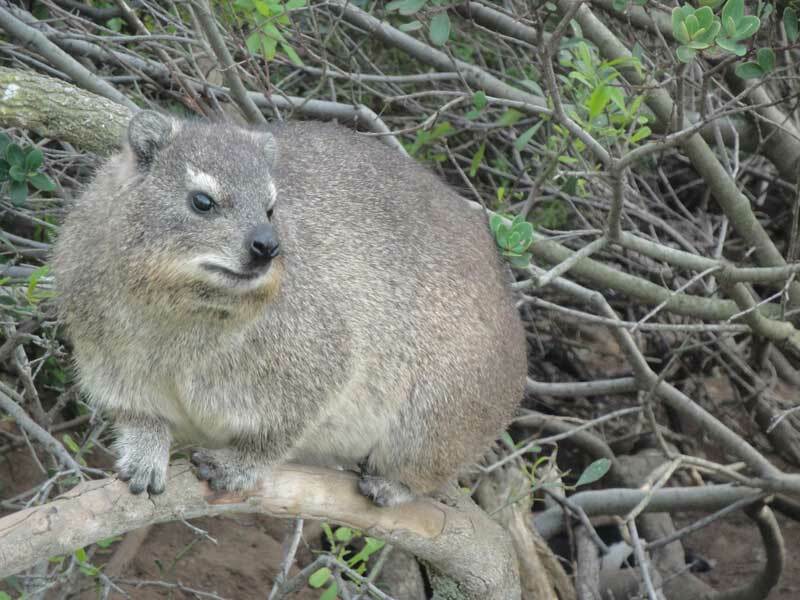 Shy forest birds sing from the cover of the dense thicket vegetation but cuddly-looking dassies – distantly related to elephants of all things – seem quite at ease feeding out in the open. 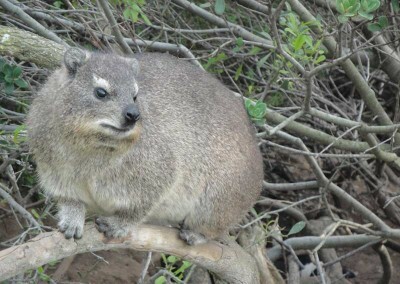 It’s a short drive from Boulders Beach to the Cape of Good Hope Nature Reserve. Cape Point refers to the tip of land at the end of the road – it’s where the vast majority of visitors go. 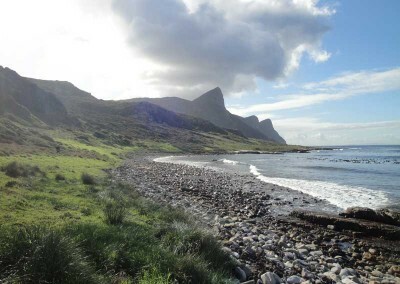 But this reserve is 77 sq km and is home not just to hiking trails but also to little-used roads that meander down to both Indian and Atlantic Ocean coastlines. 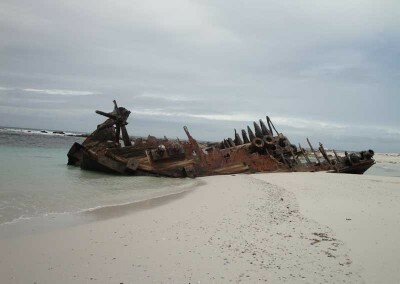 These are usually the best places to see wildlife and enjoy undisturbed views. You can choose what to do. Exploring by vehicle gives you the opportunity to do short walks on both coasts, learning about the different ecosystems of each. 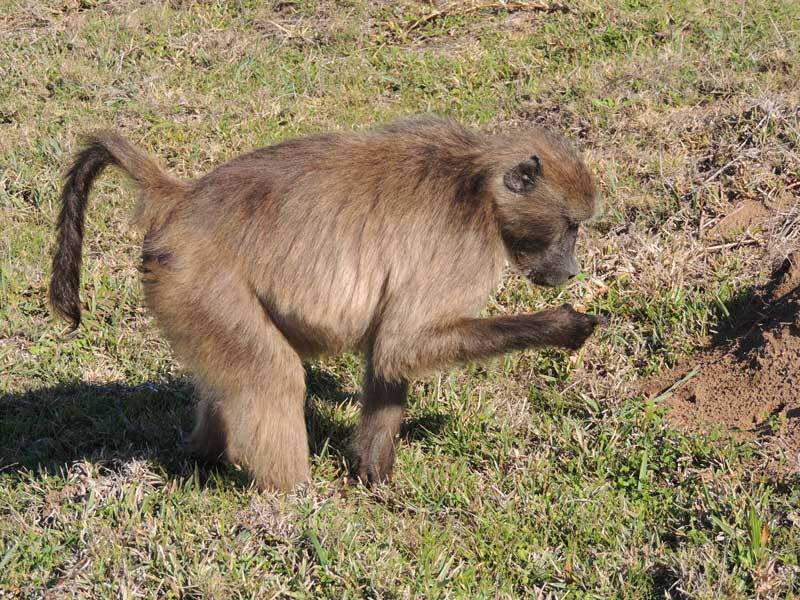 It’s the best way to see wildlife – antelope, zebra, baboons and ostrich being the most commonly seen. Tortoises and other reptiles are common in spring and summer; rarities such as otters and giant-sized eland antelope are occasionally seen. If you want to really stretch your legs then there is plenty of scope for a hike in the reserve, even after having visited Boulders Beach penguin colony. 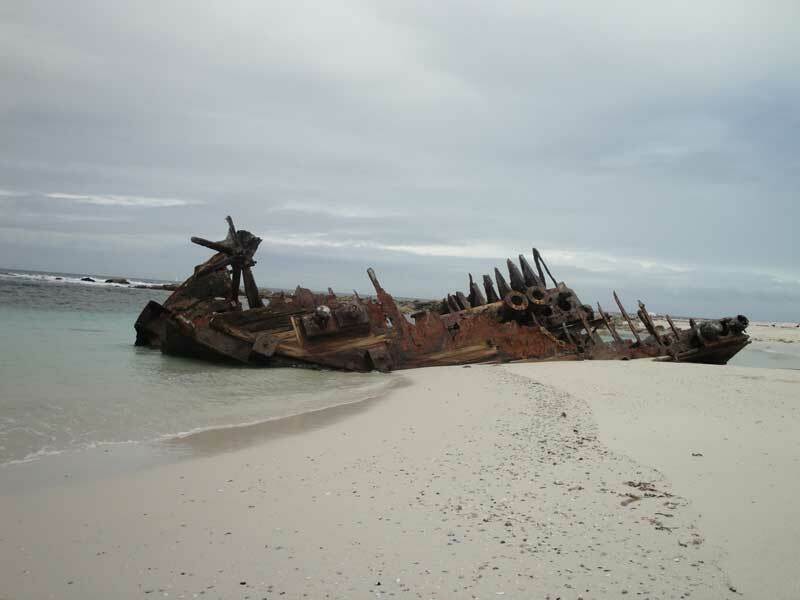 The Atlantic coast offers an excellent half-day hike, taking in shipwrecks and wild beaches – and it’s flat virtually all the way. 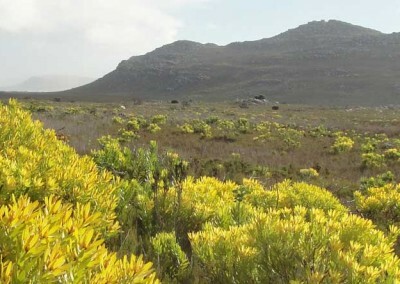 The Indian Ocean coast is home to a full-day trail from the reserve’s entry gate down to Cape Point. But this route can be shortened in several places, allowing for a panoramic half-day hike that takes in mountain paths and pristine beaches. 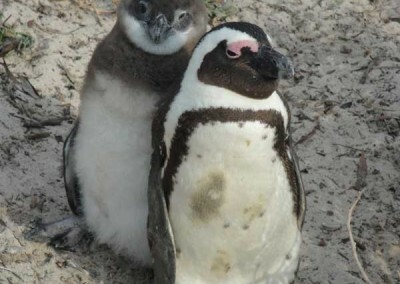 Any time of year is good for Cape Point and penguins but there’s the chance of spotting whales between June and October which also coincides with some of the best flowering months. 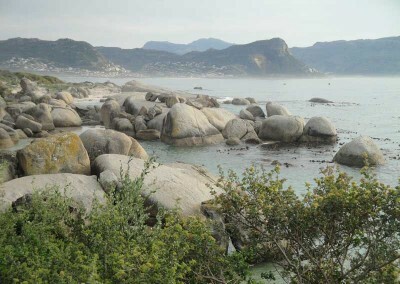 Boulders Beach and Cape Point in peak-season summer can be very busy, especially December and January, and an early start to the day is vital. In winter (May – July) you may have to work around rainy weather but Cape winters are famous for their long periods of dry and sunny weather, making for some of the best outdoor conditions of the year.